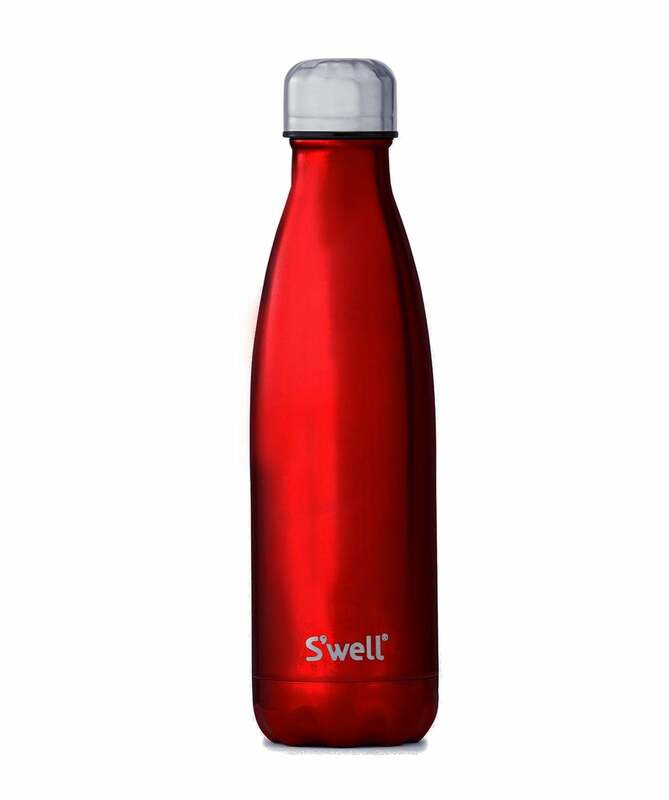 Elevate your everyday accessories with the S'well 17oz Rowboat water bottle. Vacuum sealed to keep your cold drinks cold and your hot drinks hot, the flask features a stainless steel double wall and screw top for easy use whilst adorned in a sultry and rich metallic red hue. Perfect for the gym, outdoor sports and office desks, the thermos flask from S'well is a stylish accessory that fits effortlessly into your everyday bag.